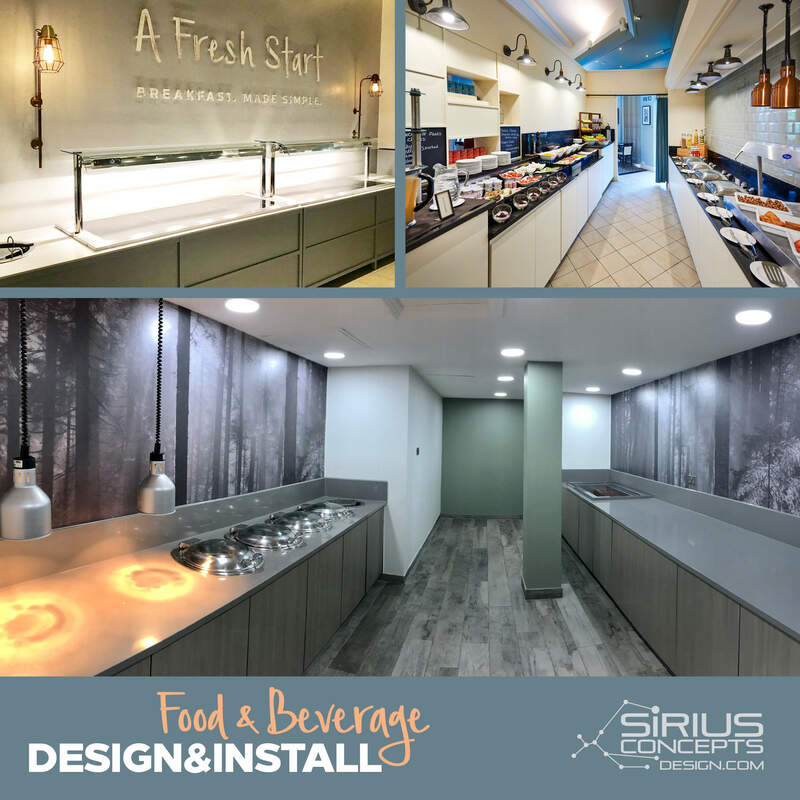 Interior design and fit out of a restaurant in Surrey. 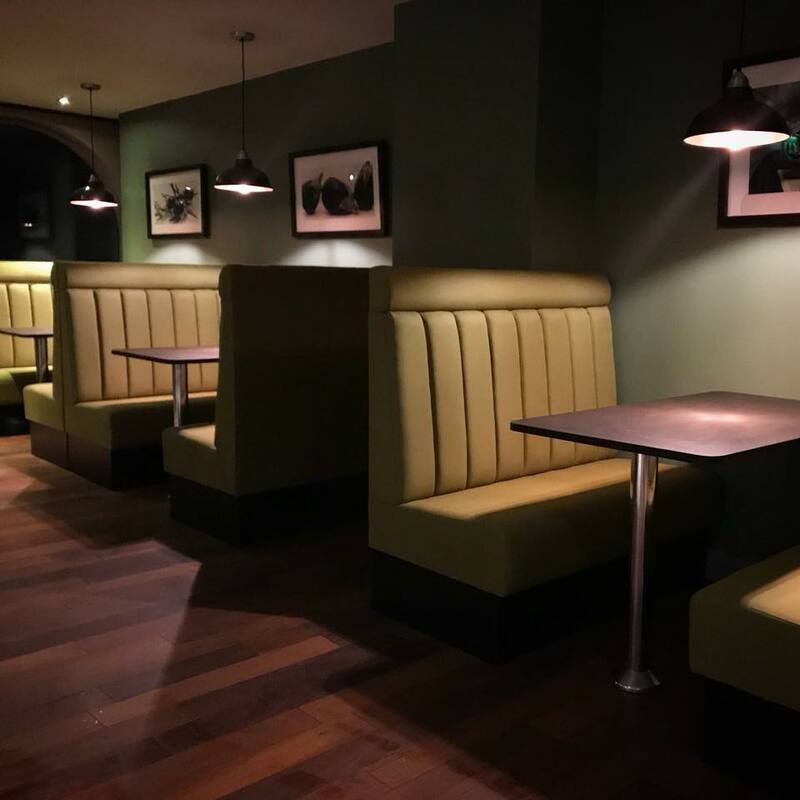 Full transformation of colour, flooring, lighting, bespoke seats and tables. Bespoke lobby signage, for a hotel in London. Laser cut letters on matt white frosted acrylic. Luxury cottage interior design and re-development in Surrey. 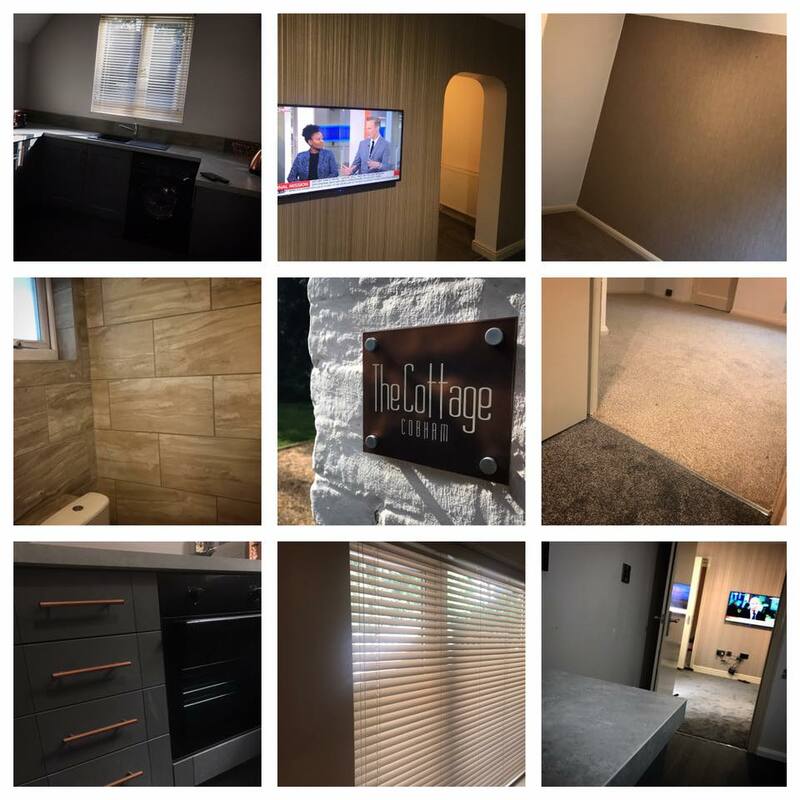 Full internal refurbishment, new walls, ceilings, woodwork, lighting, flooring, doors, kitchen, washroom, electrics and AV. 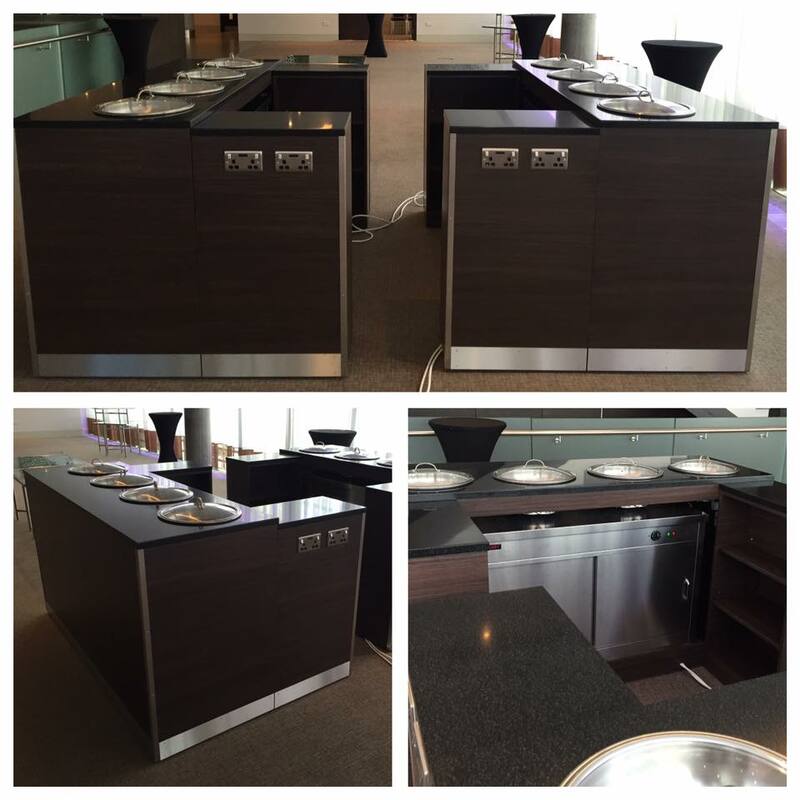 We recently installed bespoke C&E mobile catering units that we've designed and manufactured for Hilton London Tower Bridge. Working closely with chef, to create a mobile multifunctional catering solution for events at the hotel. 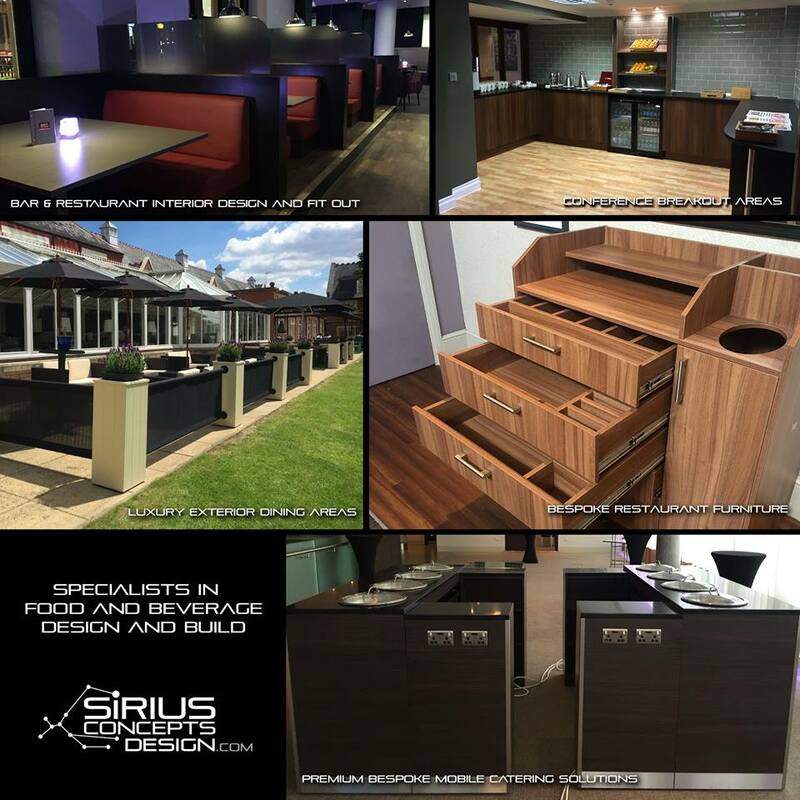 'BRIC Bar + Kitchen' open for business... c/o Sirius! 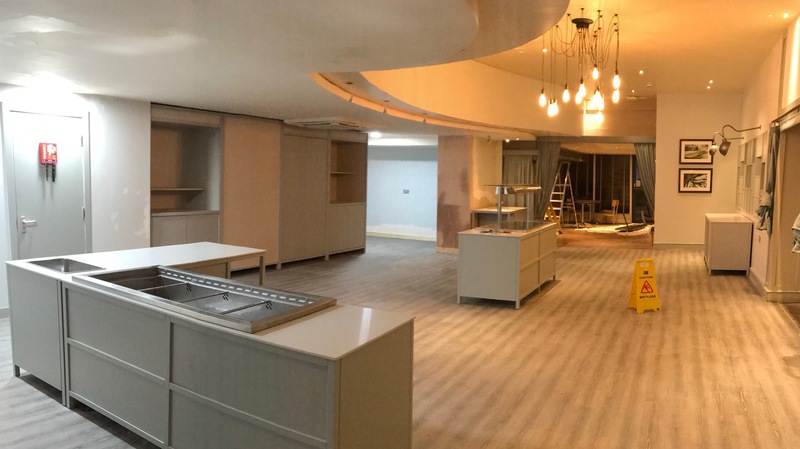 We have just completed a prestigious interior design, re brand and fit out project in Nottingham, creating the new bar and restaurant housed within Hilton Nottingham. 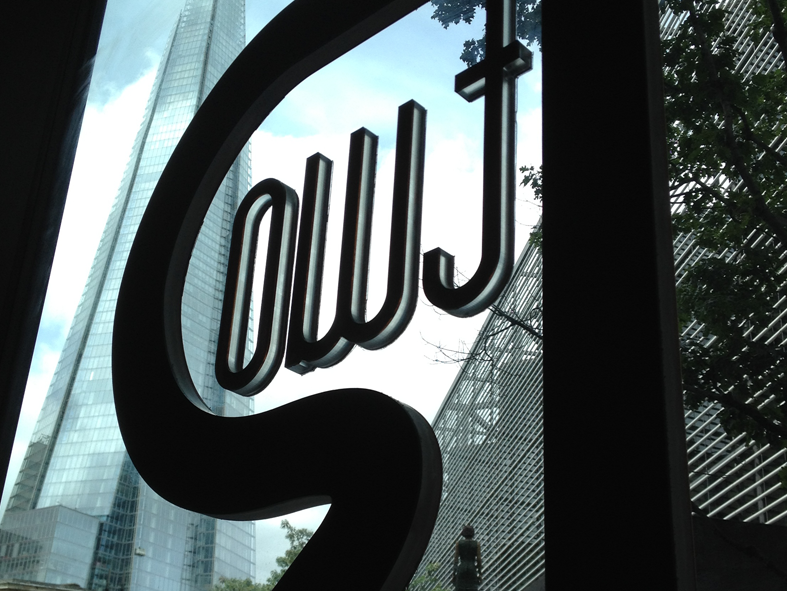 In under two weeks, we transformed the interior space and installed new exterior signage. The venue opened to much acclaim and on schedule on 18th March. A project we are most proud with. 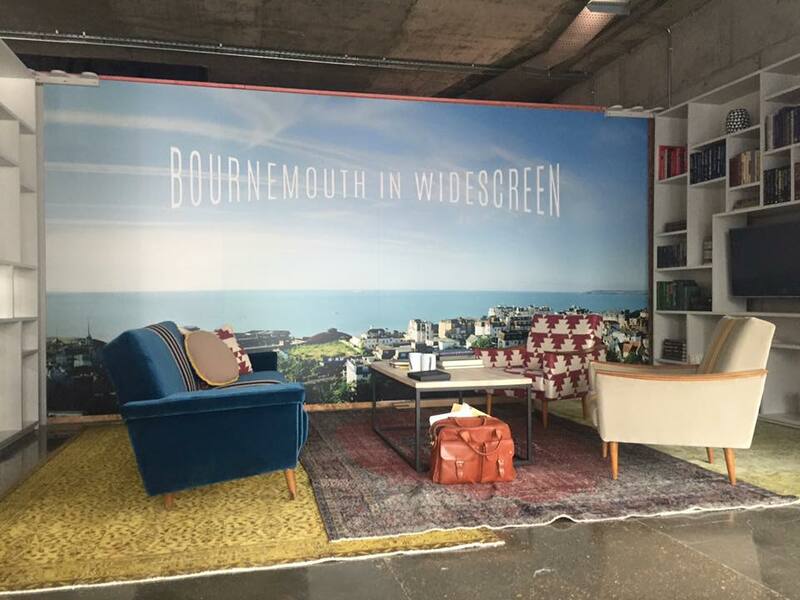 A 16ft mural we've recently installed for THAT Group to assist in the marketing of the stunning Ted Baker designed apartments in Bournemouth. We are very pleased to have started working with Foxlease Girl Guiding, supplying a range of signage, printing, interior treatments and event consultancy. 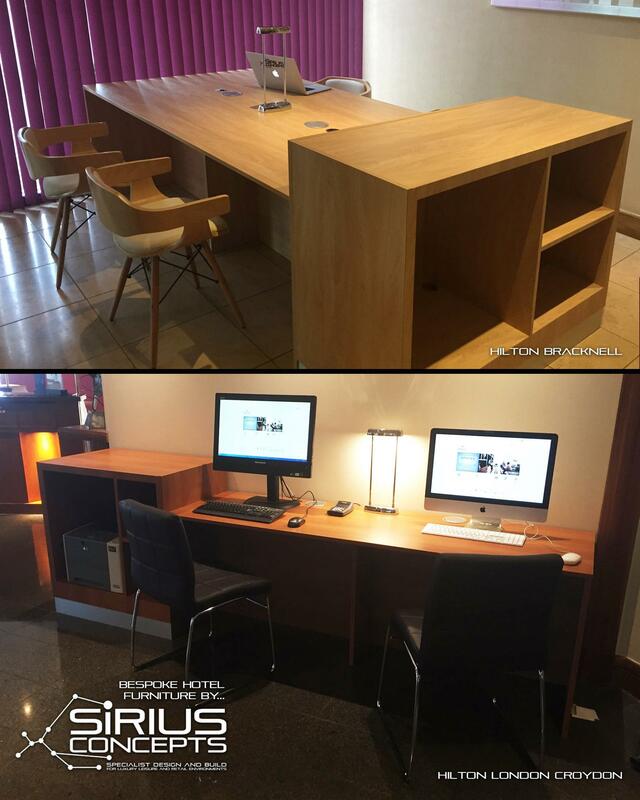 Here are a few examples of our bespoke furniture, specifically designed and constructed for busy and demanding hotel environments. Constructed of robust 18mm MDF with a hard wearing laminate, these furniture pieces can be created with a plethora of colour finishes and designs. 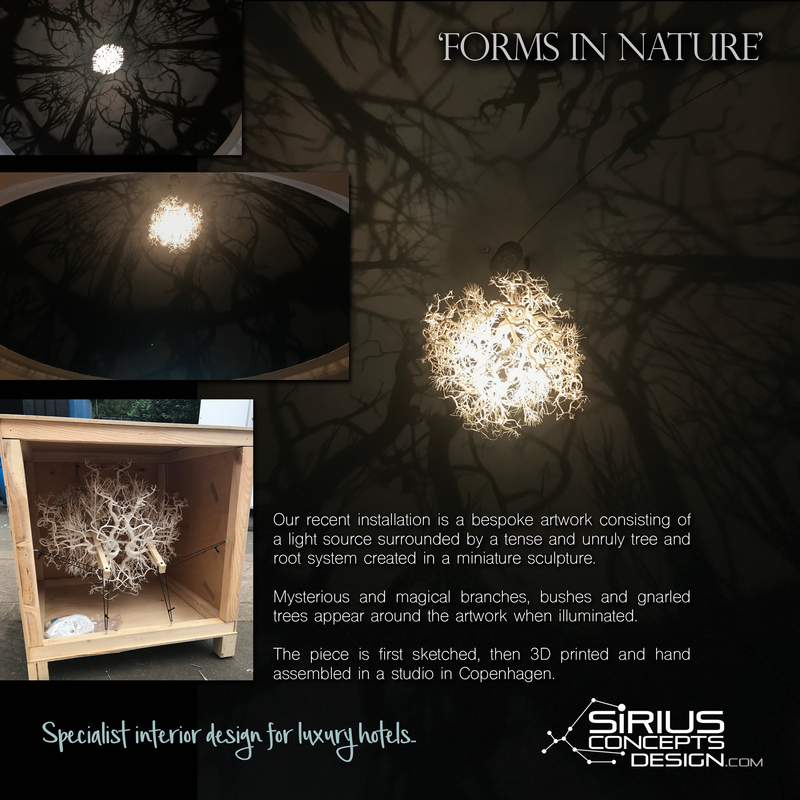 email: bespoke@siriusconceptsdesign.com for more information. 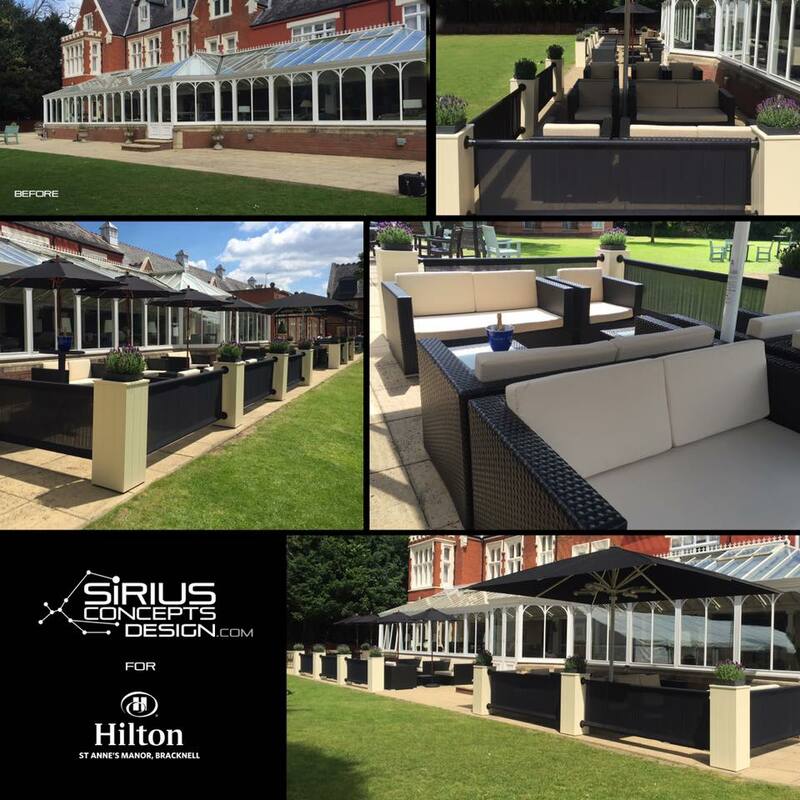 Last week Sirius Concepts were in Hilton St Anne’s Manor Bracknell creating a new area to serve working lunches to delegates using the executives lounges and conference rooms at the hotel. 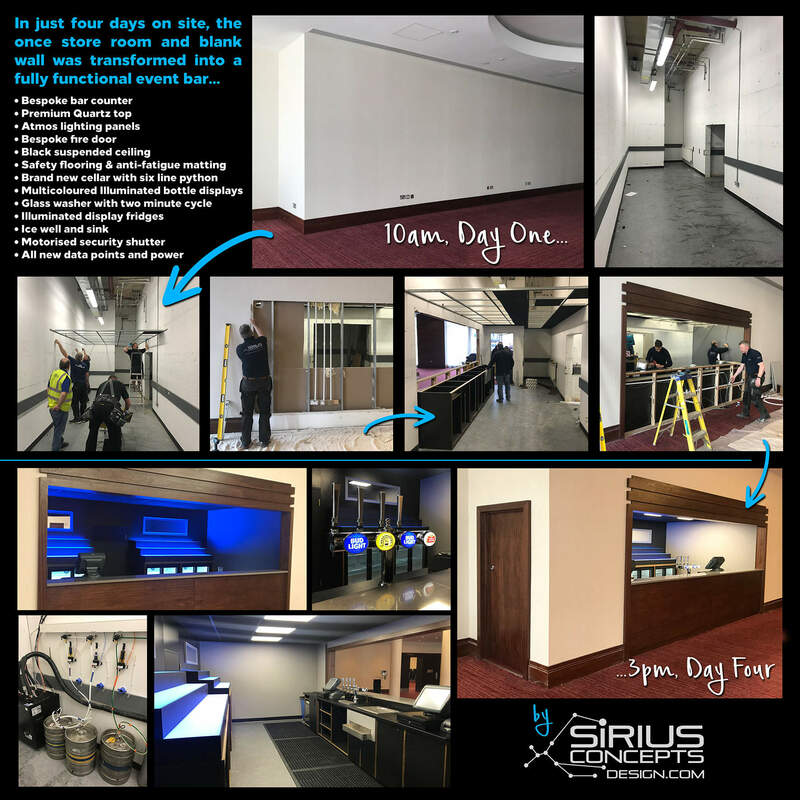 In just four days, and with no disruption to the hotel's operation, the team striped out the area back to bare walls and floor then set about creating the finished area you see pictured. The design process recognised the need for a high traffic functional area without compromising on a luxury, executive feel. 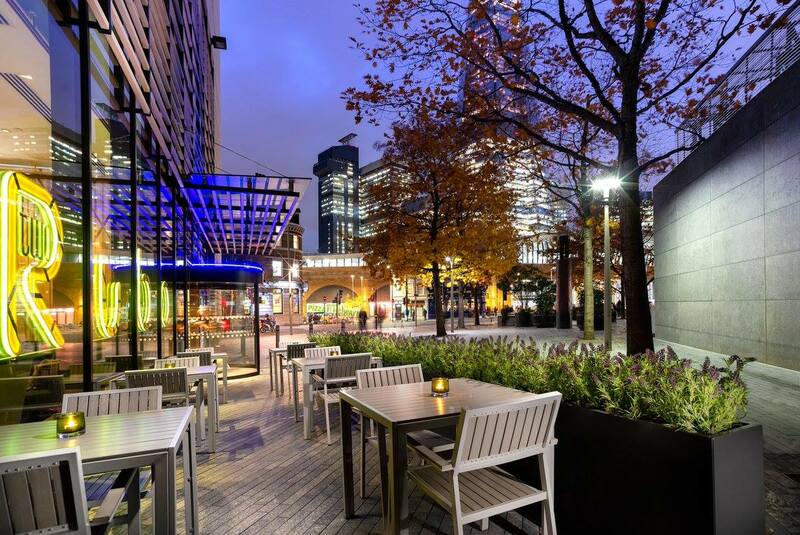 The project is a prime example of how we design and fit out to the very highest standards, often in very short time scales and with little or no impact on the rest of the premises. The team recently completed a restoration on the 18th Century part of Hilton Cobham. 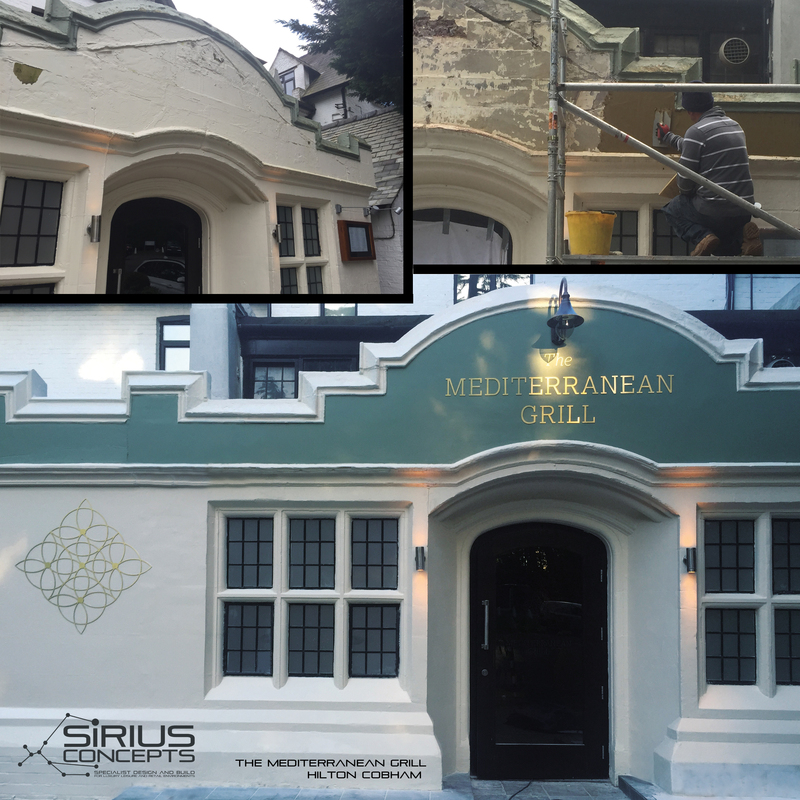 The main entrance to the Mediterranean Grill underwent extensive work to strip back years of weathering to then re-render the facias and carefully restore the decorative mouldings. 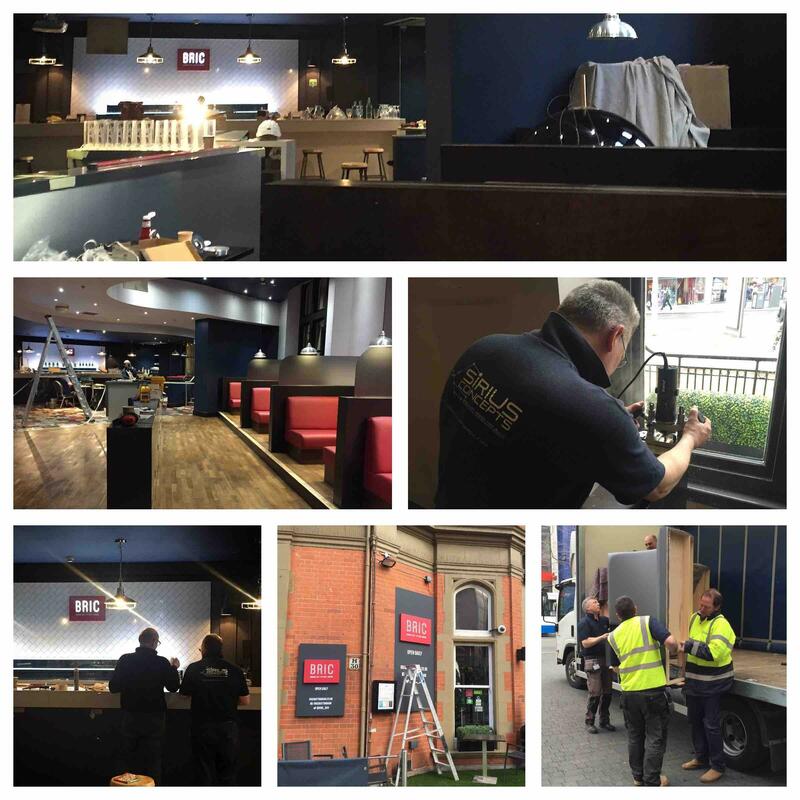 Specialist paint treatments were then applied and finished with new signage and light fittings. 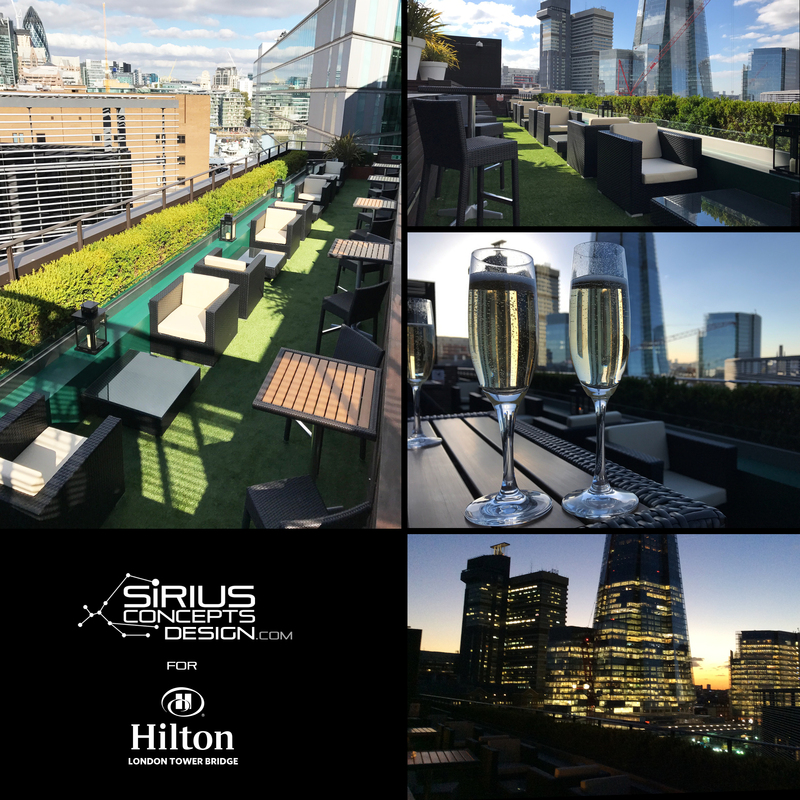 The Sirius Team are delighted to confirm that one of our recent projects, has been shortlisted for a national award. 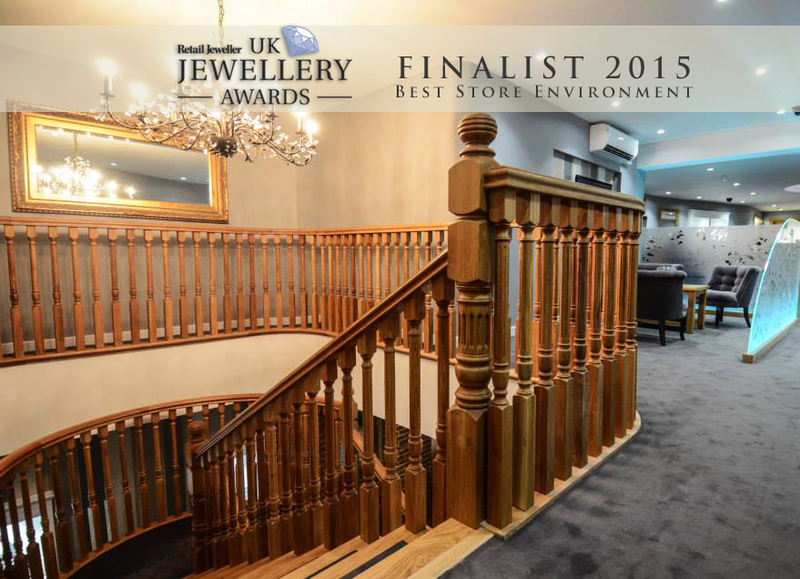 Jeremy France Jewellers in Winchester, a project that Sirius Concepts interior designed, project managed and launched last year has made the finals for the 'Best Store Environment' Category of the prestigious 'UK Jewellery Awards 2015'. There are only seven finalists, including the new Watches of Switzerland store on Regent Street and West London designer Anabela Chan, so competition is stiff, but we're hoping that our unique project will win the judges over. The awards take place on 17th June... we'll keep you posted! 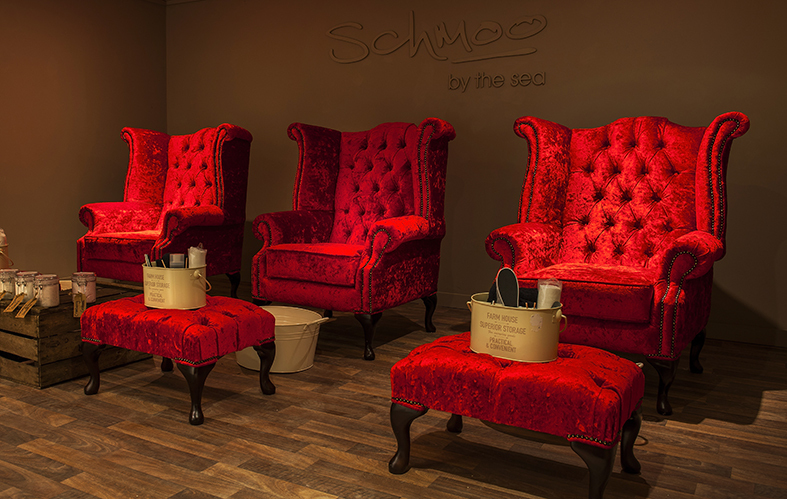 We are very proud to have been instructed by premium spa and skincare company 'Schmoo' to create a new spa treatment environment. 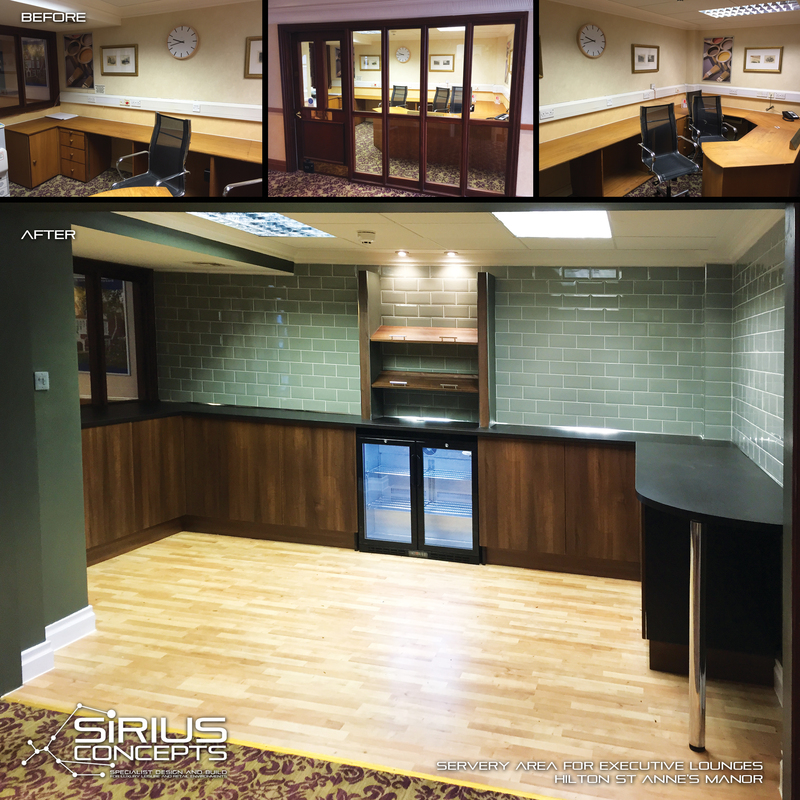 The picture to the left highlights the dramatic transformation undertaken at the spa located in Hilton Brighton, the first property to have our interior design treatment applied. 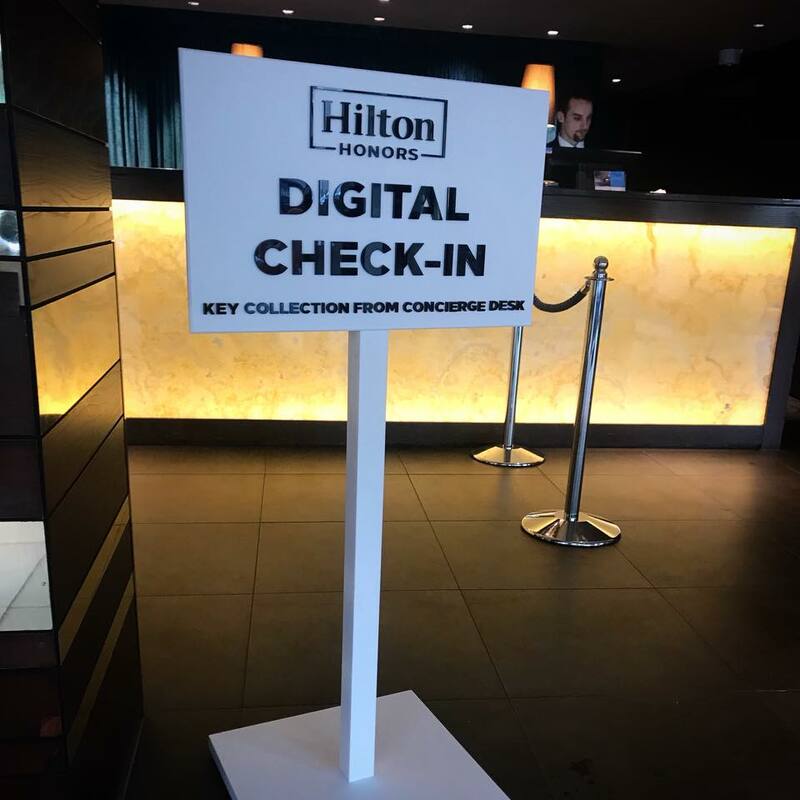 In August 2014, we were instructed by Stephane Weit, General Manager of Hilton London Tower Bridge to create a new identity for the principle bar at the hotel to coincide with the interior refurbishment programme that was already underway. The project comprised developing a new brand and indentity for the bar, which was then incorporated within supporting materials; the design and production of bespoke, hand finished menus for both day and evening, design and implementation of the TwoRuba website (including full booking functionality) together with the design, production and installation of cutting-edge illuminated LED signage for both entrances to the bar. Sirius Concepts are proud to be working with Alan Priddy and ‘Team Britannia’ on digital artistry, large format print and vessel decals for the power boating world record attempt. 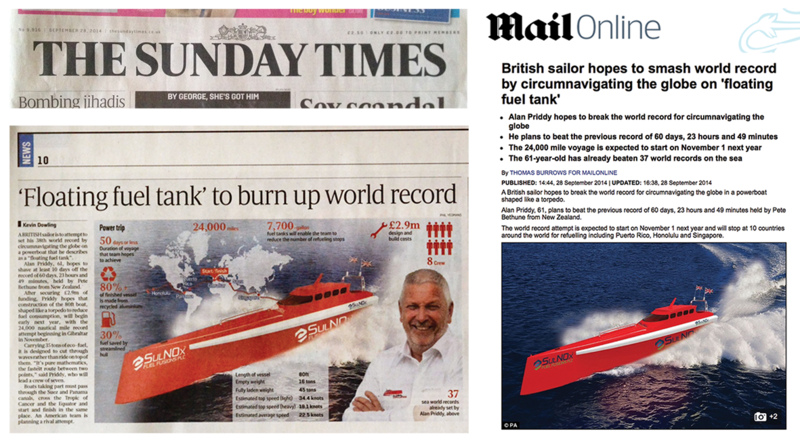 John Dyer Jnr, who has a long standing friendship with sailor Alan Priddy, [having worked together on a handful of groundbreaking project proposals in the past] was this week instructed to create an artists impression of how the potentially record breaking vessel would look powering through the waves branded with [main sponsor] ‘SulNOx’ logos. The image has now been used nationally in the press to announce the ambitious project and its new sponsor and will form part of the ever expanding media pack moving forward. 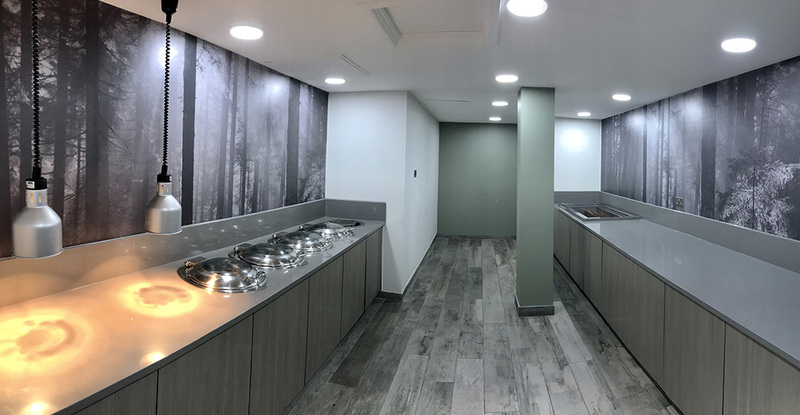 The latest Sirius Concepts project sees the design and production team delivering a complete refurbishment of a luxury hair and beauty salon in the affluent London suburb of Hampton Hill. 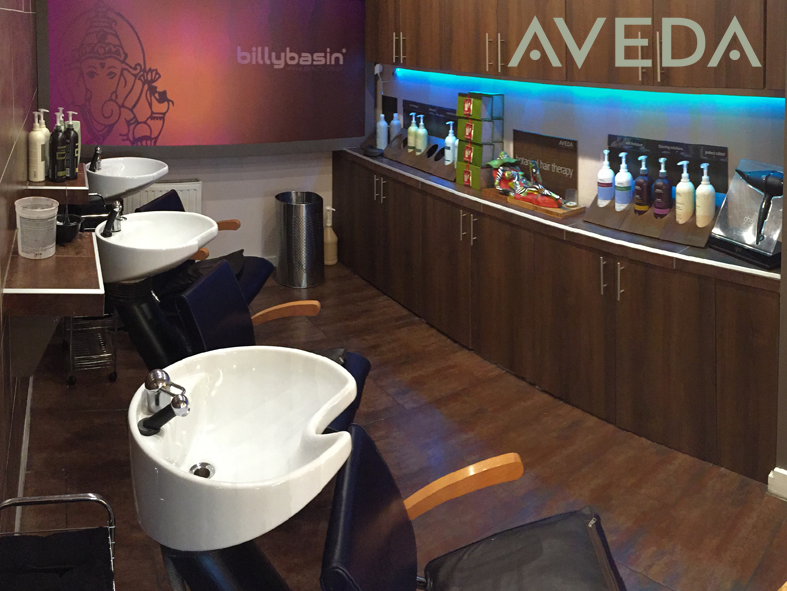 The client, Billy Basin, have been well established in their current premises since 1999 with a loyal client following, including many London and Surrey based media personalities and celebrities. As an Aveda salon which is very much a 'destination experience', the creative brief and vision for the project needed to hit the mark both in terms of ensuring that the salon retained its individual personality, as well as working within the retail journey and brand guidelines provided by Aveda. 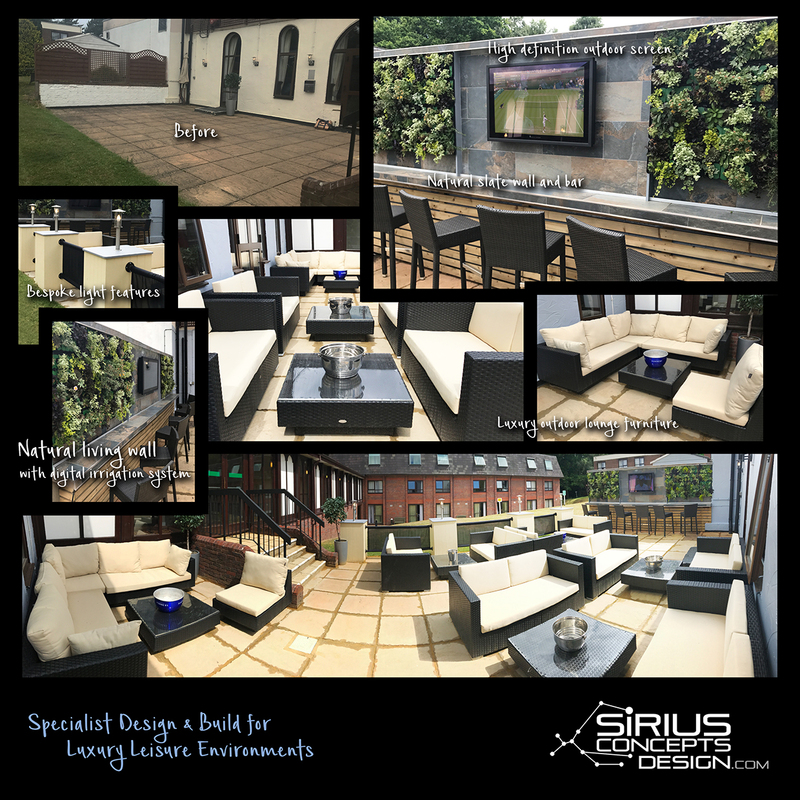 Incorporating luxurious natural materials coupled with a soothing colour palette and the individual design touches that Sirius Concepts are known for, the finished result is sure to turn heads. 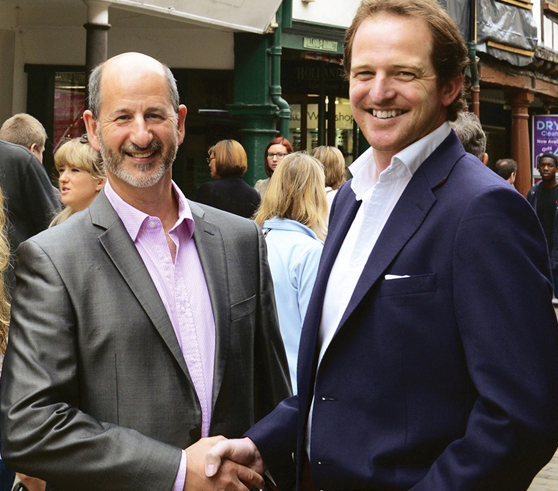 Jeremy France, the independent family jewellers of Winchester, is celebrating successful first quarter trading figures in its new store location. Having moved to a three-floor grade II listed building in the middle of Winchester high street on December 19 2013, the company is celebrating its most successful December trading figures ever, followed by a double turnover for January and February 2014. Figures to date for March indicate the trend is continuing and that owner Jeremy France’s £1m investment is paying off. 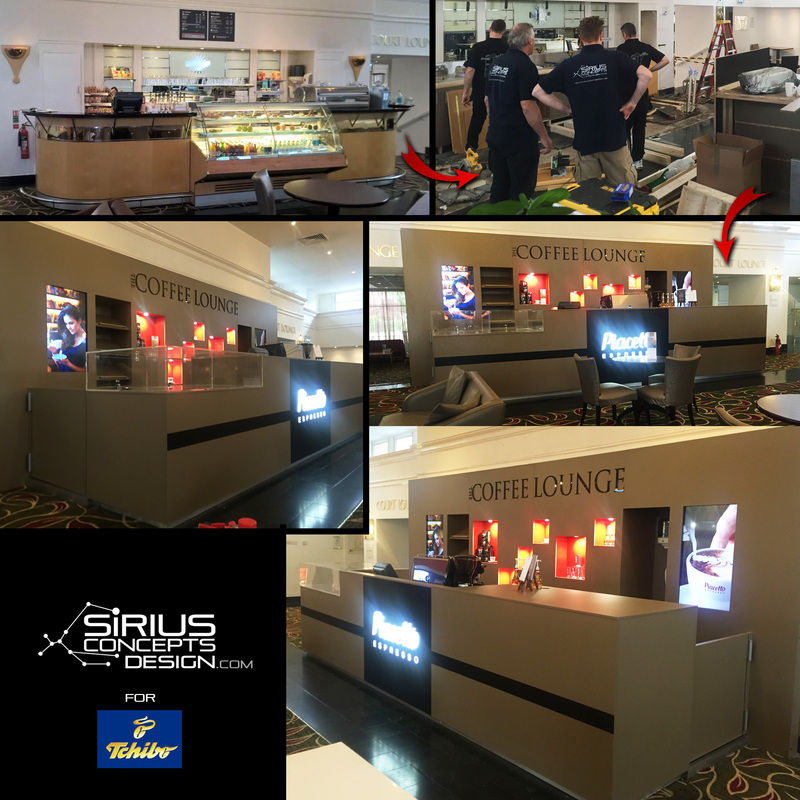 The development was delivered by Hampshire businessman, John Dyer, of Sirius Concepts Media, who worked closely with the France family to define the personality of the business, the demographic of their customers, and what sort of environment would best appeal to their potential new client base, as well as welcome their loyal existing customers. Jeremy France is moving his business down the street from Walcote Place into the former Blacks outdoor clothes unit. It will be the only independent shop in the Lower High Street and comes after years of Mr France searching for a more prominent site. He said: “I'm obviously very excited at the continuing progression of the business. 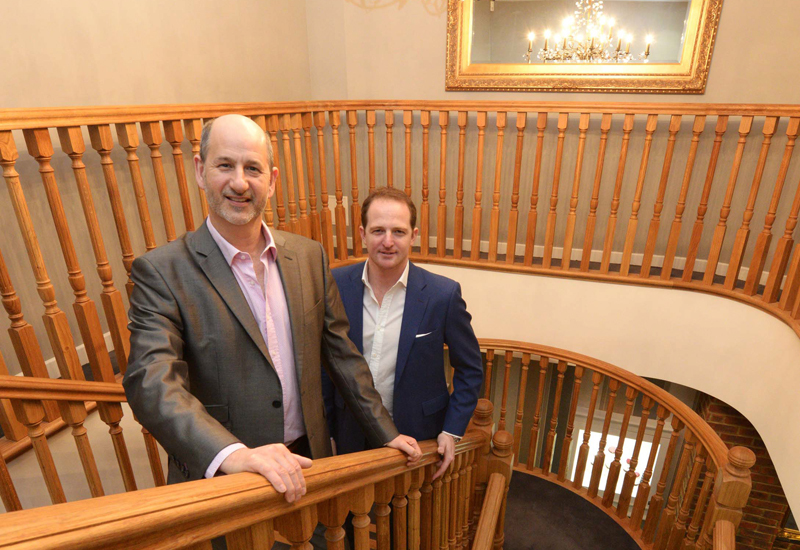 The new premises will offer the largest fine jewellery and luxury lifestyle experience, not just in Winchester but also Hampshire, which will no doubt become a destination for those seeking beautiful pieces." The three-storey, Grade Two Listed building will be refurbished over the coming weeks and should be open by December. Mr France has partnered with Sirius Concepts Media, run by Hampshire-based businessman John Dyer Jnr to bring the shop up to scratch.